Sara previously held positions in media and entertainment including Executive Director of Interactive Marketing at Paramount Pictures, VP of Digital Marketing at MGM Studios, and CEO and Co-Founder of NowLive which was acquired by Live Media Group in 2013. During her experience in entertainment, she was told by her female boss, that she “belonged more in an apron than in an office.” Recognizing that women have to champion each other rather than allow each other to feel threatened by each other, Sara founded Women Rising, which is dedicated to empowering women and girls through content and experiences. After more than 10 years away in New York, Chicago, and Los Angeles, Sara returned to Austin for the opportunity to direct and produce for the first TEDxAustinWomen, which ultimately became the #1 viewed TEDxWomen event in the world across 58 countries. After meeting Lizzie Velasquez during TEDxAustinWomen, Sara and Women Rising secured Lizzie’s rights to tell her story. Sara’s directorial debut, “A Brave Heart: The Lizzie Velasquez Story”, premiered and won the audience award at SXSW and followed with winning awards at every festival it played, secured global distribution, and qualified for the Academy Award. In 2016 she returned to live experiences by producing, directing, and programming the R3 Summit for Prevention Magazine (Rodale Inc), The Circular Summit, in partnership with Entrepreneur and Inc. magazines, and in January 2017 directed and produced the rally of the Women’s March of Texas which became the largest gathering of women in Texas history. Sara then directed and produced “ProtectHer”, a first of its kind sexual assault prevention film series and is currently making “We Go Higher: A Documentary of Hope from the 9/11 Kids.” Sara is a member of the Producer’s Guild of America New Media Council, was selected to attend The White House Women Entrepreneurship Conference, The White House Champions for Change Summit, and the final White House’s It’s On Us summit, has been nominated twice for Fortune’s Most Powerful Women Entrepreneur, and has been featured in publications including Inc., Entrepreneur, Forbes, Variety, The Hollywood Reporter, IndieWire, People, The Mighty, The Washington Post, and The New York Times. 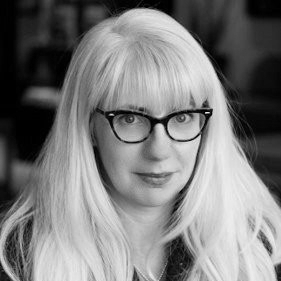 Catherine Connors is co-founder and CCO of Maverick, a network for creative collaboration between girls and role models. She's the former Head of Content and Editor In Chief at Disney Interactive, where she led content, brand and digital strategy for the Disney Interactive Women & Family suite of products, including Babble, Babyzone, and the Disney Story app. In 2015 she founded Demeter Media Group, a research and media development company dedicated to developing media properties and content products serving the market of women and families, and to providing support services (content development, editorial strategy and support, brand strategy, marketing and communications) to organizations looking to reach that market. She now joins Women Rising as President. Cameron has 20 years of experience working in finance in various industries, such as entertainment, fashion, technology, public relations, retail, banking, and many more. 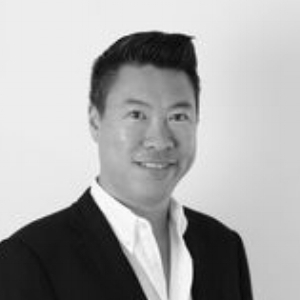 Previously he was CFO KP Fashion and AllSaints North America and COO for NowLive. As a consultant, Cameron has worked with IMIO, Roundup Media, HavenTowerGroup, Shani Worldwide, Left Shoe Company, Live Media Group, Telewise, and American Botanical. Cameron graduated from USC and received his MBA from Pepperdine University. A 14-year Motion Picture Marketing Agent at Creative Artists Agency (CAA), the world's leading entertainment and sports agency, Garcia represented digital marketers in the motion picture, television, and video game arenas. Clients included such leading marketing and distribution companies as Mondo, Red Bull, Digital Kitchen, 42 Entertainment, NowLive, Five33, IMAX, Prima Cinema, NCM, and Signature Creatives, among others. Garcia also worked on behalf of the agency’s director, producer, actor and game developer clients and with studios, and networks to develop innovative and effective campaigns that reach consumers. She provided insight and guidance in all areas of marketing, including both domestic and international release strategies, and media planning across all platforms. In 2015, Garcia co-founded M+C Collective, a specialized marketing, film distribution and sales agency. M+C Collective harnessed collective experience to provide impactful film distribution strategy and marketing campaign execution. Marissa worked closely with filmmakers to identify goals for distribution and marketing through the life of the film and work tirelessly to secure the best domestic distribution. Her unique experience and relationships enabled her to marry traditional marketing savvy with targeted grass-roots tactics to implement outreach and engagement programs that ensure the film reaches the broadest audience. Fredrik has spent nearly two decades in the field of visual storytelling: developing studio films such as "Walk The Line" and "3:10 To Yuma", overseeing the production of TV series at a Disney-owned cable network, building brands at a creative agency and producing video content for a wide array of clients. In addition, Fred is the founder of Impermanent Art, a mural and public art agency that produces mural and street art projects nationwide for brands, property owners, developers, charities and sometimes just for art's sake. Kelly joins Women Rising after her role as Co-Organizer of March For Our Lives NYC. In less than four weeks, Kelly helped spearhead talent, partnerships, and programming for the rally which saw over 250,000 attendees, making it the largest sister march worldwide for the 2018 phenomenon. Shelley’s nearly 20-year career has encompassed the publishing, dot.com, airline, and recruiting industries, and she has worn many hats. She is a jack-of-all-trades with experience in a variety of fields, including sales, event planning, corporate culture initiatives, writing, compensation analysis, recruiting, and board meeting preparations, to name a few. In a nutshell, Shelley is a people person who loves tight deadlines, a challenge, and thinking outside the box. With an English degree from TCU, Shelley’s first love is writing, and she has published several employee and customer profiles in Southwest Airlines’ Spirit magazine. She is currently enjoying her most challenging job yet as a freelance writer and mom to three boys.